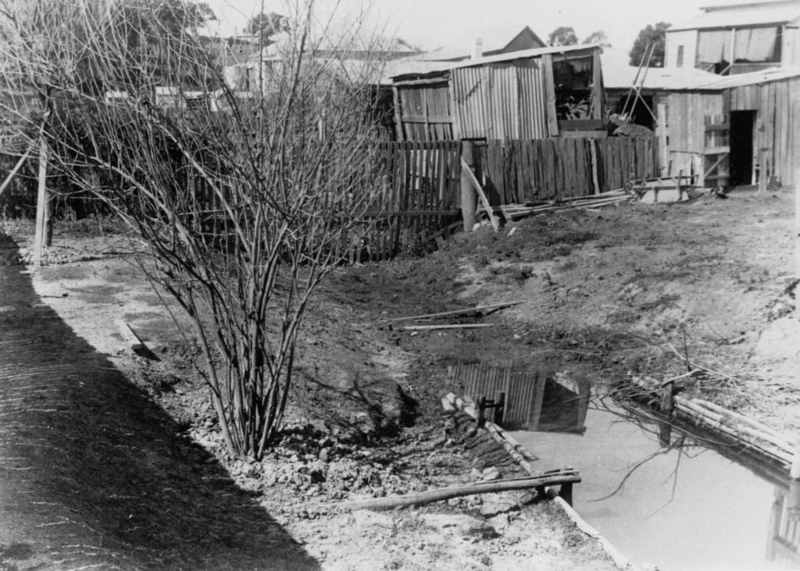 Guppies & Geysers: Rosalie’s drains in the 1970s | There once was a creek . . . This page was written by Steven Cowley on behalf of his friend Rhonda, who grew up in Herbert Street in the 1970s. After getting in touch with me and asking if I would be interested in a child’s perspective of the drains of Western Creek (of course I said yes! ), Steven kindly offered to interview Rhonda and document her stories so that they could be shared. I’d like to extent a huge thanks to both Steven and Rhonda for this wonderful contribution to the history of Western Creek. 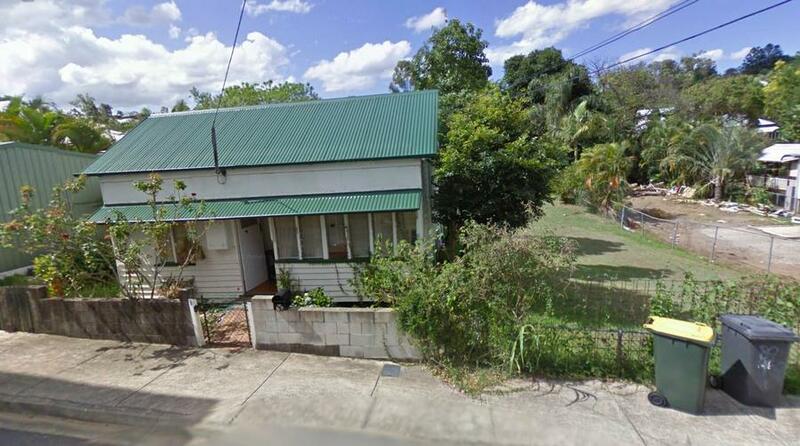 My parents, two brothers and I moved into 67 Herbert Street in Paddington sometime in 1967. My father was then a construction worker on some big building projects in town such as the then new Lennon’s Hotel in Queen Street in 1973. They rented the house from the Barnes family who owned the bakery next door. Our house sat right beside the bakery silos. It was exciting to live beside what at the time seemed to be these gigantic towering structures. Our house was one of the original workers cottages in the area. I was told it was at least 100 years old by the time we moved in. The front veranda had been closed in and an extension put on the back, but it was still a small house. Google Street view photo from 2009 showing the house at 67, the vacant lot next door at 65 and a cleared area that used to be 63 (now rebuilt). On the other side there was a vacant lot. It used to have a workers cottage on it, but it had been torn down before we moved in. It always stayed a vacant lot and we used it as part of our yard to play and run around in. We had chickens and an outdoor dunny. The Kneller family lived in 63. They had five sons and one daughter and we always played and explored together. Their daughter was about my age and we got on well together. We were able to play all day together and could go wherever we liked as long as we were back in time for tea. It’s amazing the freedom we were allowed to have and yet, nothing bad ever happened to us. My parents were practical, unassuming, country folk. We didn’t have a telephone installed until I was in my teens; it was considered an unnecessary expense. We had to go down to the public phone booth if we wanted to make a call. There was a large cauldron in the back yard to boil water as we didn’t have a water heater. An indoor toilet was only installed in 1995 courtesy of the new owners after Mum had a fall going down the steps one day. I was embarrassed to tell anyone I lived in Paddington. It had such a bad reputation in the 70’s as it was considered a “dive”. I would tell people I lived in Rosalie because nobody knew where Rosalie was. I moved out in 1994, aged 26, but my parents kept renting until 2000 when they finally moved out. The house is still there, largely unchanged from when I left. The bakery closed sometime in the early 70’s, the silos removed and sold to a Gold Coast bakery. 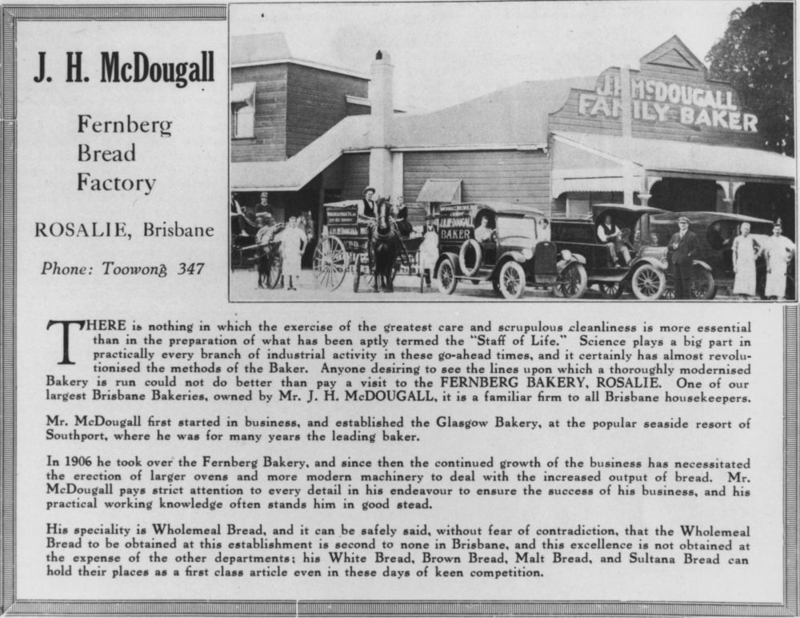 The building is still there and is now a printing office. Number 65 is still a vacant lot and the original home at 63 was torn down and a new home built a few years ago. The rest of the houses in Herbert Street have largely kept their character. In our backyard there was a buried double brick drain. It would have started at the top of the hill and it followed the gully that ran down our hill through the vacant lot and the Kneller’s yard at 63 (they had a metal manhole cover above the drain), right down to Ellena Street, perhaps following the original watercourse that fed into Western Creek. Whenever there was heavy rain, the water pressure was often enough to explode sections of the drain, causing geysers. My father said it was caused by the water pressure building up from all the runoff from the top of the hill. Number 63 regularly had its manhole cover blown off and, in the three backyards of 67, 65 and 63, there could be up to a dozen geysers at once! The subsequent erosion left big holes in the ground. As we didn’t have a phone we had to go to the phone booth to call the council to come and fix it. They would patch it up, only to have their work undone with the next downpour. Dad used to have to fill in some of the holes himself. 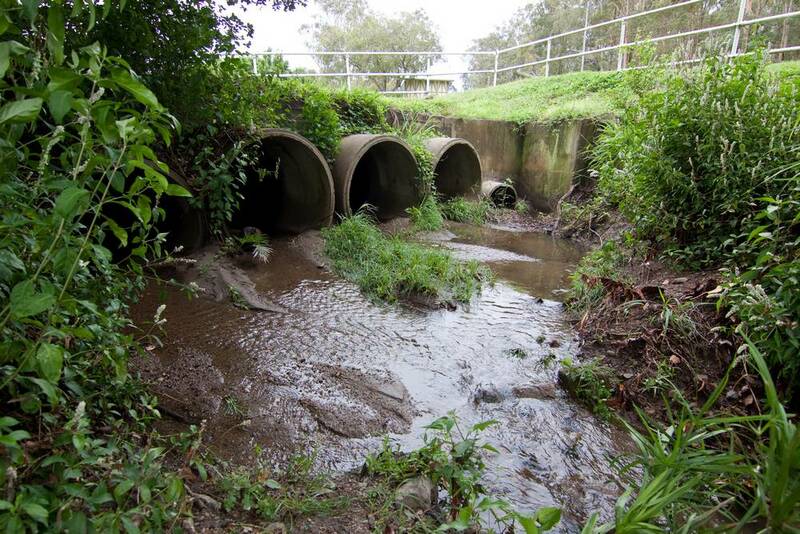 This cycle of blowout and repair continued all the way into the early 1980s when the council finally replaced the brick drain with concrete pipes. In the backyard of 63 they made an open drain pit with a fence around it. In the open drain you could see two other pipes that flowed into it. Whenever there was heavy rain that pit overflowed instead of blowing out the pipes. That open drain has since been covered up, so the council must have found another solution to that particular problem. 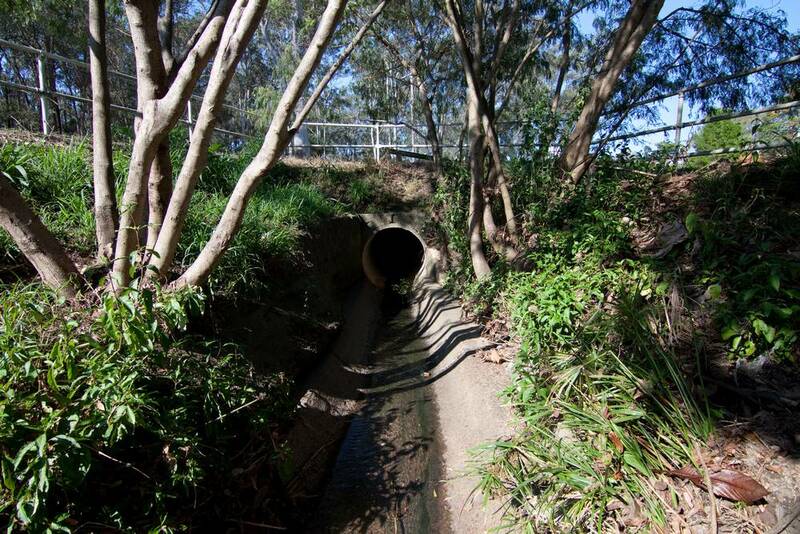 One of our regular excursions was to what we knew as ‘the Drain’, located at the Baroona Road corner of Norman Buchan Park. We often spent the whole day there playing and exploring. There were two sets of pipes, four large pipes close together and a single separate smaller drain approached by a concrete channel. The drain pit in Norman Buchan Park — once a prime location for guppie catching. Our main mission was . . . guppies! We would troop down with improvised scoops to collect as many guppies (and sometimes tadpoles) as we could in our bucket, then carry our prizes back home. We would be allowed to keep them for a day or so until Mum complained and made us take them back. Sometimes the boys would catch the eels they saw in front of the four large pipes. They would corner them and picked them up by hand. I don’t know how they managed as the eels looked very big and slippery. The boys would chase us and each other with the eels and then put them back. We didn’t go into the four big pipes to explore as the water was always too deep. However, we did go into the smaller single pipe. It looks too small to me now but as children it was certainly big enough to stoop and still be able to walk along. I didn’t go too far into that drain myself but the boys did. The water level was always at least ankle high and after rain rose up to waist height. The water smelt disgusting and I tried very hard not to think about what could be in it! I would only go as far as the major junction, but I don’t remember how far in that would have been. The junction was a large circular concrete pit with perhaps three separate pipes feeding into it. The pit was deep, dark and full of water, deeper than a child could stand, so the boys had to climb across the pit to get to another drain if they wanted to explore further. They would go all the way to the shops at Rosalie and could come out of a manhole there. They boasted they could go all the way to Gregory Park before the water got too deep and smelly. I think it’s important to point out with an adult’s hindsight how dangerous this activity was and that no-one should attempt to do this today. If there ever was a sudden downpour whilst we were in the drain, it could have led to tragedy. Not to mention the disease that could have been present and other possible hazards in the water. As children we never thought of this danger for a moment. I imagine the guppies didn’t see the danger from us either . . . I don’t remember the ponds which are there now at the bottom corner of the Fernberg grounds. I remember there was a bog hole further up and lower down was an open drain. The open drain was more like an open pit with a drain pipe at the bottom. It was much drier than the pipe in the park and I used to go down that drain quite a distance. The old horse paddock at the bottom of the Fernberg grounds. 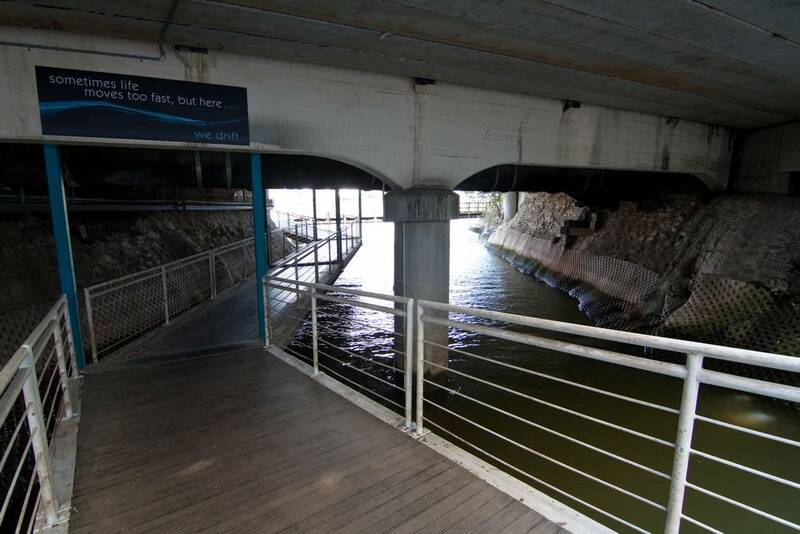 The stormwater pipe can be seen running through the middle. We got in by jumping the Fernberg perimeter fence. Why? To look for more guppies of course! I don’t remember how far into the drain I could go but I was small for my age and could move easily in that small drain. After being spotted, the boys got chased out by the gardener a few times. The groundsmen must have gotten tired of kids trespassing because sometime in the 70s the drain was covered to prevent further access. In the 1974 flood the water came halfway up our street to number 61. During the flood it felt like the house was on an island surrounded by a sea of water. I remember seeing small dead fish left in the gutter from the receding floodwater. The water must have come up through the stormwater drains carrying the fish with it. To me, it seemed amazing that you could see fish so far from the river. Progressing down to Gregory Park, the only thing I remember about the Park was that it turned into a bog whenever it rained. It didn’t have playground equipment like it does now so it did not hold much interest for us. It was just a big area of grass that you crossed to get somewhere else. From there, we used to walk all the way down to the mouth of the creek, where it met the river. 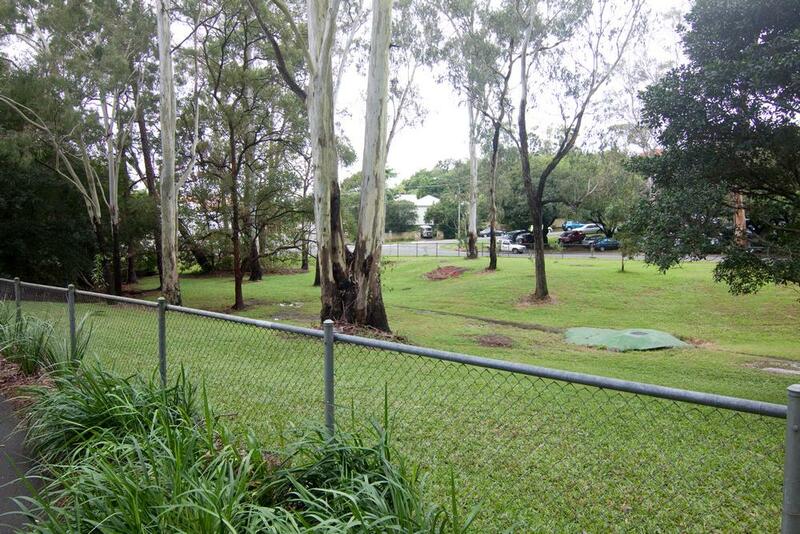 This was before the walkway was built on the river and the old wooden bridge on Coronation Drive was replaced. We used to sit on the creek bank underneath the bridge and fish. The banks have been concreted over now but it used to be a place where you could sit. We would catch crabs and fish to take home. Our parents would clean and cook them for dinner. The story of our time in ‘the drain’ ends when I was 10 years old. That year we all were given bicycles. With our world a larger place, we didn’t have time for the old ‘drain’ anymore. I lived in Rosalie for many years in Ellena street, then Latrobe Terrace and later in Elisabeth Street. Have known Rhonda, whose story features on your website, since she was kindergarten age. She and my daughter remained best friend through the years. Reading the story of Western Creek brought back memories of old Mr.Jones, a regular at my store I owned on Latrobe trc. in the mid seventies. He was ninety plus, and talked about the times when Ellena street was a dirt road, about the creek that cut across the bush land that is now Gregory Park, and about the aborigines who camped on the river bank. Thanks for your comment, Gitta. What I’d give to hear Mr Jones tell some stories! Pingback: Bottles and cans: an adventure in suburban archaeology | There once was a creek . . .